Everyone wondered what would become of the application Instagram once formalized its acquisition on April 10, Facebook has an answer. The social network photo remains on the App Store but the site of Mark Zuckerberg offers his own version, taking the principle of newswire photos and filters available on Instagram. 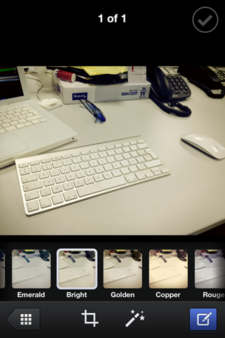 After a few minutes of use, Facebook Camera proves very fluid, very easy to use and relatively sober. But more information can already be drawn. 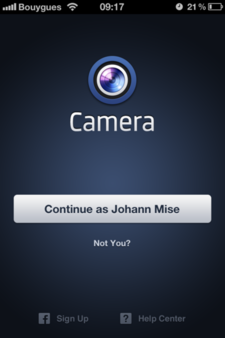 When the user launches the application for the first time, and in the context where it already has the application "classic" installed Facebook on her iPhone, no need to re-enter their username and password, the camera detects Facebook alone. A black spot, however: to access the photo library of the user, Facebook Camera obliges it to share location data. 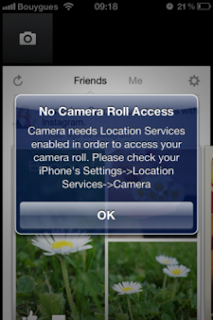 In case of refusal, it will only be possible to capture from the application and to consult his "Timeline pictures." 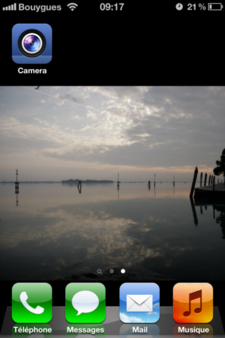 Good idea, however, it is possible to view multiple photos to an album by scrolling horizontally. For now only available on the U.S. App Store (at this address), the application should land on the shop of French application within hours or even days.